for Holt Marketing and Management Services, Inc.
With so many things to cover, is it really necessary to understand what your buyer person is? The short answer is: Yes. Why? Because understanding your customer needs is the very definition of customer service; and without good customer service, well, you might want to check out this link to our site on how to Shut Down Your Business. I know that sounds a bit harsh but when you don’t care about your customers, it shows; and they won’t remain your customers for long. 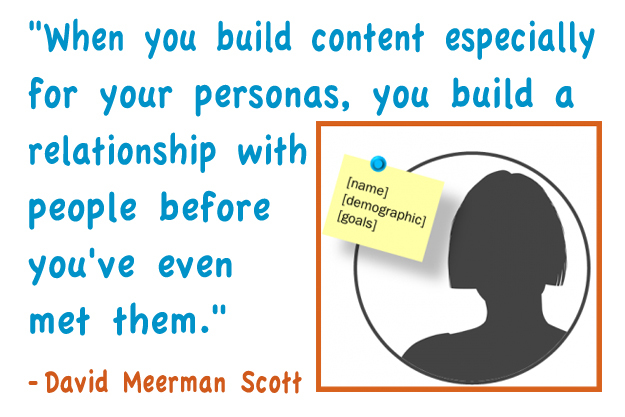 So what is a buyer persona? A buyer persona is a semi-fictional representation of your ideal customer based on market research and real data about your existing customers. When creating your buyer persona(s), consider including customer demographics, behavior patterns, motivations, and goals. The more detailed you are, the better. This definition comes from Hubspot (you can read more here: http://blog.hubspot.com/marketing/buyer-persona-definition-under-100-sr). What are the benefits from knowing my buyer persona? You’re a busy person. Wouldn’t it be easier to look at what your customers are buying and continue to focus on that? I’d like to say yes, but that will only get you so far. People don’t like to look like complainers. If nothing is wrong with what you give them, they will take it and most likely be thankful. But what if you could give them what they really want but don’t ask for? What if what they really want isn't an option yet and you can pioneer that effort? Market research can be a bit time consuming but it is well worth the investment in that it gives you a better understanding of your ideal customer and their needs. This can help you develop new products or services or decide which ones to focus on. It also develops a better relationship with your customers by showing them that you care about their needs. How can you obtain this information? We’ve covered that good Market Research is how you find out more about your buyer persona, but how do you implement this? A survey card could be useful, but how many actually take the time to fill those out? Online surveys might be a bit more successful yet. A phone call works great in that it not only finds out the answers to their problems but it personalizes the experience for your persona by allowing them to talk to a human who genuinely cares. You might even want to try a combination of all three...whatever you choose, you should make sure it is tailored to your industry and your specific business so that it works for you. You can outsource this to Marketing Professionals (this can help you achieve fast results and give you more time to focus on other key components) or you can get started on your own. Do you prefer to shop online or in-person? *This is an opportunity to nurture your customer (or prospective customer). DO NOT send a bunch of flyers for products and services. I find sending an email with links to a helpful blog or an informational whitepaper attachment works best. If they like what you have to say, they will contact you for more information. If you aren’t sure how to begin a market research call, contact us by email or call 989-791-2475. We have great scripts that can be tailored to your industry. It is a useful tool in helping you be more comfortable when speaking to your customers and making them feel more at ease in opening up. If you want to find out how outsourcing can cut costs and increase profits, we can help you there too. Did you enjoy this article? Do you have advice, comments or questions? Please share, we love having an open forum for discussion and we will always respond!